Three villagers were killed as landslides hit Indonesia's southernmost province of East Nusa Tenggara on Monday evening, a disaster agency official said. Heavy downpours were blamed for the deadly natural disaster, spokesman of national disaster management agency Sutopo Purwo Nugroho said. Emergency relief aids have been distributed to the affected villagers, Sutopo added. 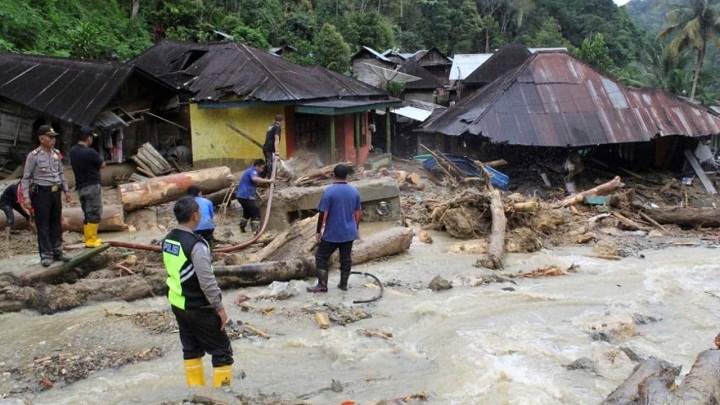 Indonesia is often stricken by landslides and floods during heavy rains.